How is Industrial Computing Shaping Warehouses of the Future? Data collection and industrial computing are helping warehouse operations to realise their vision of logging, tracking and tracing everything as they pursue improved productivity. How are these key components shaping warehouse floors of the future? More importantly, how can they be maintained? 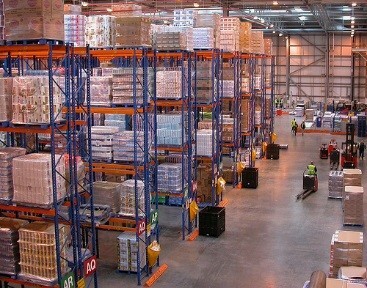 Warehouse facilities worldwide are at breaking point as demand exceeds supply. Spiralling costs and poor productivity are resulting in widespread warehouse closures as they struggle to adapt their operations to cater for growing demand. Your warehouse facility probably finds itself in a similar situation, growing at a rate whereby your current operation is expanding quicker than you can implement the systems needed to accommodate your growth. Growth is great, but you’ve quickly come to realise - like many before you - that you need to accommodate the growth happening around you before it’s too late. Outdated modes of operation have become the Achilles heel of warehouse facilities, in an era where computerization and the collection of data have become the ‘must-have’ attributes of the warehouse floor. Collection of data and computerization go hand-in-hand in serving to improve operational efficiency in a warehouse setting. The proof? A study conducted by www.automationdirect.com tracked the operational efficiency of a carpet warehouse following the installation of a touch screen industrial computing system for data collection purposes. After three years, the warehouse recorded a 20% increase in production efficiency. 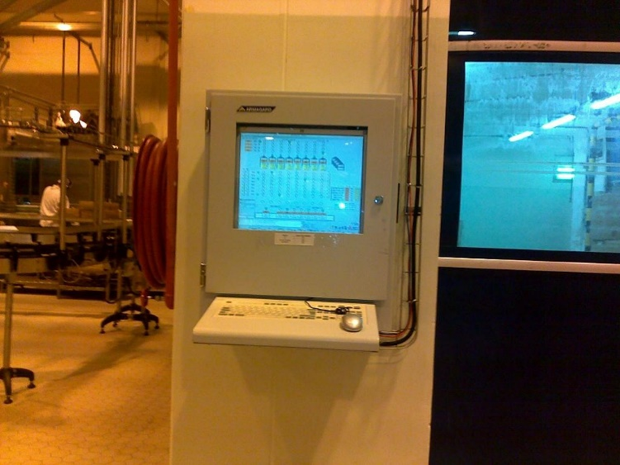 A data collecting, industrial computer system as used by Bonlait, France. From the outset, the installation of industrial computer systems for the purposes of collecting data will revolutionize the speed at which tasks can be performed. Menial tasks such as stock taking or order logging, which were once carried out by ‘Jim’, wandering around with his clipboard and taking him days or weeks, can now be inputted into one system. The benefit? A real time account of the orders coming in and the stock available, accessible by every relevant staff member. It means that the ability to meet an order can be determined rapidly, and if the warehouse doesn’t have the necessary inventory, it can be ordered and delivered within a reasonable timeframe. A central industrial computer system capturing data in a warehouse facility. With live data being fed into a computerized system, everything on the warehouse floor can be pre-empted. Rather than having to wait until something is out of stock before you realize that you need it, you can track inventory levels days in advance, identify that you’re running low on a particular item and have it ordered and delivered before it becomes a problem. Ultimately, this eradicates delays, which are the plague of warehouse facilities. Delays mean vendors will simply move on to the next supplier. Speed is the new currency of today’s vendors, if your operation is not up to the task, they’ll find one that is and that’s the reality. It’s this reality that has driven warehouse facilities worldwide to deploy industrial computer systems that gather and correlate data to identify inefficiencies in productivity, not only in the warehouse, but right across the supply chain. Essentially, industrial computer systems, combined with rapid data capture, help to plug holes that were once the bane of warehouse operations worldwide. 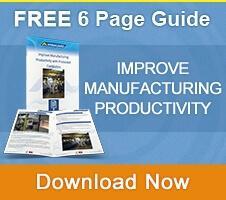 As a result of improved warehouse floor efficiency, entire supply chains benefit. The bigger picture sees costs brought right down, while the time-saving benefits add more man hours once lost to long, drawn out processes and all this occurs as everything is logged, tracked and traced more accurately. Welcome to the age of the digital, data gathering warehouse. You may have concerns about the cost of introducing computerized data gathering systems to the warehouse floor, but the beauty of industrial computing is that you can make use of what you already have. There’s no need to splurge on expensive computers systems and data capturing software. Chances are, you already have everything you need, readily available. 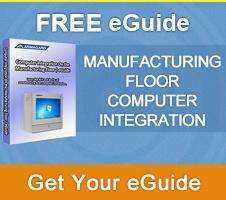 Bringing computerized, data collecting systems to the warehouse floor can be achieved inexpensively with the integration of industrial computer enclosures. Improving warehouse data capture can be as simple as introducing a touch screen computer system encased in an environmental enclosure that’s designed to deal with the rigors of warehouse settings. The highlight of such systems is that they enable you to take a computer system to the central nervous system of your business, the warehouse floor. The added benefit is that you can use your existing equipment to do this. Where’s the advantage in that you ask? You save time and you save money. There’s no outlay for new computer equipment, no disruption for installation and ultimately, minimal downtime. Additionally, touch screen enclosure systems are beneficial for your staff. How? Using your existing equipment eliminates the need to retrain staff for the use of new systems and software packages, plus it speeds up data capture and ultimately, improves overall warehouse efficiency. Practically, you remove the need for a keyboard and mouse for data entry. It might only be minutes saved, but over the course of a year those minutes could make all the difference for improving order dispatch times, for instance. To put touch screen data gathering systems into context for your warehouse, it could be the case that your staff are familiar with touch screen technology. Ask around and you will probably find that the majority of your personnel own a touch screen phone or tablet. 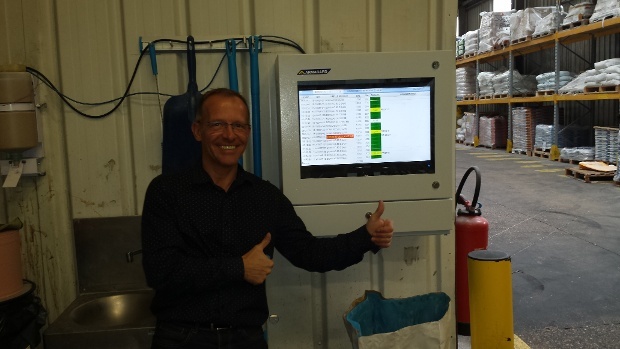 Therefore, introducing touch screen systems to the warehouse floor won’t upset the balance of your operation. The upshot of installing an industrial touch screen enclosure system is that you sacrifice less in terms of cash and time, but you gain a system that improves warehouse data collection with minimal disruption and minimal impact on your staff. If nothing else, staff will welcome the simplification of data entry through touch and overall your business will benefit from timely and accurate data recording that keeps it progressing rather than regressing. What’s more, is that environmental enclosures offer sustainability, improving your data collection and efficiency long-term. Equipment can be swapped out in the event of an upgrade, which minimizes downtime, keeps costs down and delays don’t transfer to your customers. Effectively, industrial computing and data collection keep your warehouse operation tight, timely, while boosting overall efficiency, benefits that you, your staff and your business can get behind.